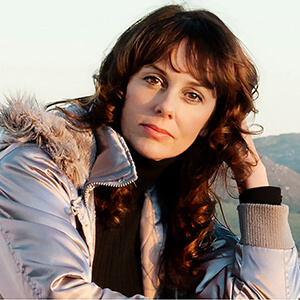 Lesley is a South African marine and shark conservationist, campaigner, wildlife filmmaker, underwater photographer, environmental writer, author, speaker and activist. She founded the non-profit organization AfriOceans Conservation Alliance in 2003 for which she is the Chief Executive Officer. The organization achieved major success through the SOSF Maxine, Science, Education and Awareness Program, a unique shark conservation campaign designed by Ms. Rochat, supported by the Two Oceans Aquarium and sponsored by the Save Our Seas Foundation. She is an avid diver and a PADI Divemaster and in 2008 she helped open the Save Our Seas Shark Centre in Cape Town, South Africa, where she served as the Executive Manager and Director of Education and Awareness. Lesley is a published travel and environmental journalist and underwater photographer, and the author of children's and educational books. Lesley has been the creative director of many educational and awareness initiatives from campaigns such as the award winning "Rethink the Shark" campaign to educational outreach programs for children. She is also the CEO of Blue Pulse Pictures, a production company which has produced numerous marine related documentaries.